Eliot Ness Amber Lager is described as an amber lager with rich, fragrant malt flavors balanced by crisp, noble hops. 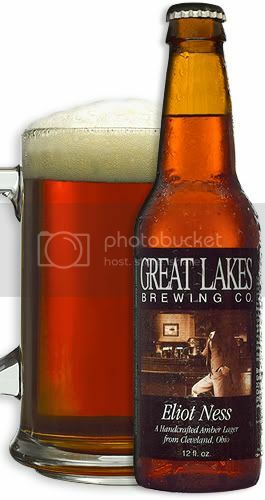 Per Great Lakes Brewing Co, Eliot Ness Amber Lager was named after one of Cleveland's most respected safety directors who frequented the Brewpub's bar during his tenure from 1935-1941 and, according to popular legend, was responsible for the bullet holes in the bar still evident today. Margaret Conway, the mother of owners Patrick and Daniel Conway, worked with Ness as his stenographer. Of course, prior to that, he was most widely known for being an American Prohibition agent, famous for his efforts to enforce Prohibition in Chicago, as the leader of a legendary team nicknamed The Untouchables.